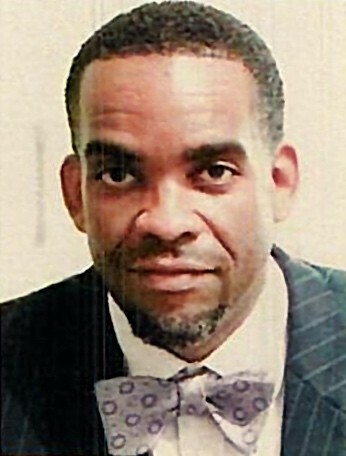 Julius Jefferson’s impressive credentials include pastoring churches in Louisiana, New York, Alabama, and Maryland. 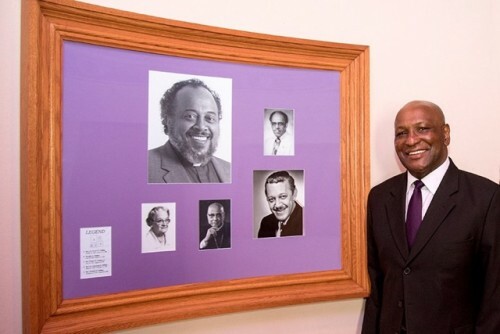 In addition to leading local congregations Pastor Jefferson served with the General Board of Global Ministries of the United Methodist Church as Area Executive Secretary for Central and East Africa where he was responsible for managing and maintaining relationships with missionaries, United Methodist and Methodist Conferences, and ecumenical organizations. During the refugee crisis in Rwanda he led the United Methodist Committee on Relief (UMCOR) efforts to provide care and comfort to refugees in the Great Lake Region of the Democratic Republic of Congo (formerly Zaire). Pastor Jefferson is a Vietnam Area Combat Veteran with 25 years of military service in the Army and Air National Guard where he rose to the position of Deputy Chief of Chaplains. Christian life and service has presented Pastor Jefferson with an abundance of rich and rewarding opportunities. He served as a “Key Event Herald, New Life Missioner, and New World Missioner” with the General Board of Discipleship. In these roles, he traveled to a number of states and countries including: Fiji, Tonga, Australia, and New Zealand. As a minister of the gospel he has traveled to every continent and preached throughout the world. Read Pastor Jefferson's full bio and the bios of the HUCC staff. A waken foil to civic and community responsibility. Bring about an awareness of the church as an institution of learning by enabling the participants to learn through the liturgy and programs of the church. Effect change in society through Christian leadership as exhibited in the lives of each member. Provide a worship experience independent of the exploitation of its members through promises of unrealistic rewards and emotional appeal. Provide a church for the community where brotherhood and fellowship would permeate the total membership. In May of the same year 1962, the three former Congregationalists from Baltimore made a trip to Washington, D.C. to talk with the Rev. Shelby Rooks, who was then Associate Moderator of the Mid-Atlantic Conference of the Congregational-Christian Churches. The three who made this journey were Vallen and Anne Emery and Miss Charlie Harvey. They discussed with Rev. Rooks their feelings about the need for a Congregational Church in Baltimore. 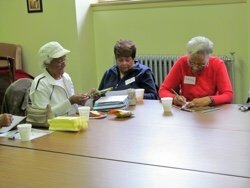 The group discussed what would be involved in beginning a new church in the Congregational tradition in Baltimore. It was a fruitful meeting and Rev. Rooks assured the group that he would follow through in terms of apprising the Conference of the needs expressed by the group. "It has been my privilege to work with the Northwest Group ever since the committee became aware of their interest in forming a new church in May. 1962. 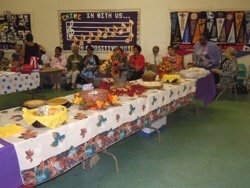 I have met with them at least twice a month since that time and have attended many of their Sunday worship services which began at St. Luke's United Church of Christ on January 13, 1963. During these months the spirit and determination of the group to move forward has been inspiring. They have been patient and understanding in very trying situations when places for them to worship could not be found in the Northwest area either in the United Church or in churches of other denominations..."
The Group with which Mr. Wallace initially met was composed of Marian Alston, Anne and Vallen Emery, Wayland and Lettie Wilson, Mildred Forehand, Lillian and Howard Green, Fannette Hughes, Edith Sparrow, and John Wood. In 1962, the Baltimore-Washington area was still in the process of crystallizing the merger of the Potomac Synod (Evangelical and Reformed) and the Mid-Atlantic Conference (Congregational-Christian). Both groups were invaluable in their support and supervision of this mission church. This mission church, which soon carne to be known as the Northwest Congregational Church had its inception at a most historical period in the life of the United Church of Christ. The merger of two great Protestant bodies-the Evangelical and Reformed Churches-with the Congregational-Christian churches-had just been completed nationally with the adoption of its new constitution in 1961 in Philadelphia. (This transitional period in which the merger was taking place also at different points in our development added to the confusion.) But as we reflect on that part of our history we recognize now that that was a very necessary part of our wilderness experience! The first initial meetings of the group (later to be known as the Northwest Congregational Church) were held at the home of Vallen and Anne Emery at 1620 E. Biddle Street. Meetings were held on a monthly basis from May until January 13, 1963 when the first formal service of worship was held at St. Luke's Church. Subsequent meetings were held at the homes of members on a rotating basis. The first formal worship service was held January 13. 1963 at St. Luke's United Church of Christ on Fayette and Carey Street at 2:00 p.m. The Rev. Theodore Ledbetter, Pastor of Plymouth Congregational Church (U.C.C.) preached the sermon and the 40-voice choir of Plymouth under the direction of Miss Alma Blackman and Mr. Thomas Kerr; organist furnished the music for the service. This was a cold and snowy Sunday, but the Spirit and enthusiasm was felt. Many people carne to the altar declaring their desire to become a part of this growing religious venture. 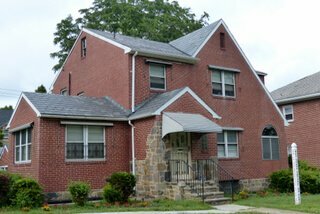 With the help of the Conference and the Board for Homeland Ministries, the parsonage located at 3604 Edgewood Road was purchased and negotiations began to obtain the Second Church of Christ Scientist at 3106 Liberty Heights Avenue. The Reverend Shelby Rooks again appeared in the picture and became the Interim Pastor, February 1964. 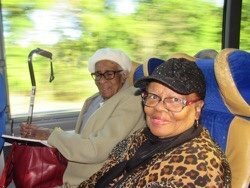 Reverend Rooks commuted from his office in Princeton, New Jersey to Baltimore on weekends for services. Rev. Rooks provided leadership to this little band of members in formulating worship services and guidance in denominational understanding. The members agreed to try to raise funds for the well-appointed building in which we now worship. A letter on March 14, 1964 was sent to Members and Friends of Northwest Congregational Church from Wilbert Jones, Chairman of the Trustee Board; Charles Mitchner, Financial Secretary; and Samuel Hicks, Treasurer stated: "Our faith is boundless, just as the five thousand were fed with five loaves and three fish by the Sea of Galilee, just as the widow's jug kept filling, believe we can raise this amount of money." Within one week $1 was pledged and the drive began. In September 1964, the Potomac Synod and the Mid-Atlantic Conference completed the merger into the Central Atlantic Conference of the United Church of Christ. Northwest Congregational Church became Heritage United Church of Christ. "In response to the love and grace of God we unite in Christ fellowship for the worship of God through Jesus Christ. God's will for our lives and to share with others the good news of the Gospel of Jesus Christ that they too may discover God's will for their lives, regardless of race, color, class or ethnic background. We have come together so that we might be sent out in the name of Jesus Christ to assist in the regeneration of society and thereby translating God's Word by our lives into living actuality!" Monday Morning this time, there was absolutely no question that God had been with us as we sojourned in the wilderness! His goodness and mercy were certainly with us and was certainly a very important part of our history! Because this whole Heritage movement is of GOD, He moved and used us oft times in spite of ourselves! Heritage United Church of Christ preaches a strong social gospel. Our life has been intimately intertwined with the life of the total community. Our calling is one of social action, involving ourselves in the issues of the community that we might participate in the total redemptive process. We make our unique witness in the name of our Lord, Jesus the Christ. Through Christ, unto Him as the "church gathered" that He might send us out as the "church dispersed," as sheep in the midst of wolves!" A look at our history bears this out as one takes a glance at our life as a church as exhibited by our program during our existence. 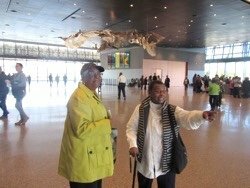 We have always been heavily involved in the Civil Rights Struggle during the days of Dr. Martin Luther King, Jr. and after; Resurrection City’s Poor People's March are a few examples. Our church has been a resting place for many groups involved in the struggle. We believe that God is Lord over all people and therefore the arena of politics is under His jurisdiction. Based on this belief we are actively involved in the political situation as we try to discern what God is saying through this process that we might interpret it for the people. Sunday Breakfast Program that involved the bussing of children weekly from low income areas for breakfast at the church and to attend Church School. 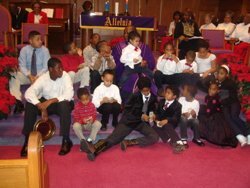 (Most of these children did not have a church affiliation). Youth Ministry included Friday Night Teen Canteen (dancing, games, discussion, counseling, confirmation classes, and Sunday evening discussion groups. 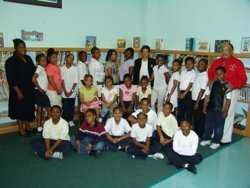 Tutorial Program that offered free tutorial service to any child in Baltimore in need of such service. The majority of the tutors came from our membership. 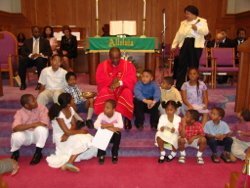 Park Community Center was through the efforts of the late Reverend Phillips in cooperation with the Central Atlantic Conference of the United Church of Christ. Hotline Operation service was for those in trouble and operated out of the Park Center. The Well-Baby Clinic was an important health initiative. Housed School Without Building Program supported students academically. Lord's Pantry gave food to the hungry and in some cases limited funds were made available for those in distress as well as clothing was available. Participated in the Emergency Services Operation of the Community Action Agency. 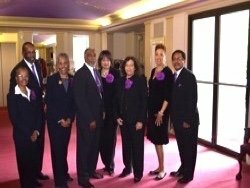 AMA Black College Fund Drive was involved in raising $17 million for our six Black colleges. 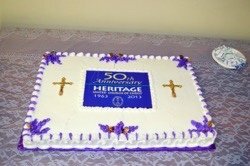 The above mentioned activities and programs did not exhaust the extent of the church’s involvement, but gives a general idea of our style of ministry at Heritage United Church of Christ. Pastor and Deacons Prayer Ministry - Monday 8:00 a.m.
Friday Prayer Meeting via Conference Call. The call in number is: (563) 999-1107 and the access code is 141951. Congregation All programs and services at Heritage United Church of Christ come from the guidance of the Congregation. Church Council This is the people’s Council that honors teachings of God by providing the foundation for our Church. 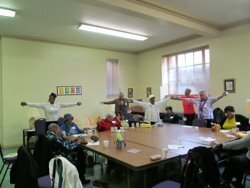 This inclusive group works to develop, enhance, and enrich this place of worship. Board of Trustees The Board of Trustees is elected by the congregation on a tri-annual basis. The Board acts as the fiduciary agent on behalf of the members of the church. The Trustees are charged with receiving and managing the resources of the church to enable the church to carry out the work of the Lord. Communications The Word of God for the People of God. This Ministry tells our story to the entire congregation, the community we serve, and the United Church of Christ leaders. Delivering the Word of God in all forms of media. We want God’s children to join us in rejoicing and celebrating our Savior…Jesus Christ. Congregational Ministries are the synergy of the Church. With the Mission as our guiding light we share our gifts and talents for all to partake as bold and faithful servants of Jesus Christ. Spiritual Renewal is the process of growth and transformation into the image of God. It is the constant striving to approach God and become united with God. He is in our midst. By God’s grace we become more obedient to His will. We believe in the triune God, each person is unique and valuable, each person is on a spiritual journey, the persistent search for God produces an authentic relationship with God, all baptized belong body and soul to our Lord and Savior Jesus Christ, all of faith are invited to join Christ at Christ’s table for the sacrament of Communion, we are a united and uniting church, God calls us to be servants in service of others, we are prophetic, we believe in the power of peace, and we are a people of possibility. Scholarship and Leadership Guild Education is the critical foundation for the masses. 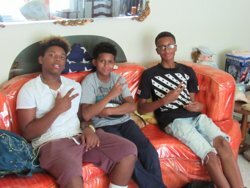 The mission is to build the youth up by exposing them to the world through so many stimulating activities. 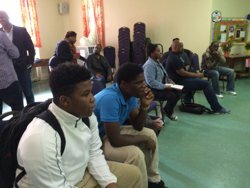 They have been offering one of the longest running Black College Tours in the area for church and community youth. Visiting HBCUs and historical African American sites is the impetus for this educational journey. Overwhelming the youth with the world and all of its parts is the education needed for this next generation of leaders. Discipleship Team The Discipleship Team recruits, orients, and maintains the membership of the church. The Team conducts New Member Orientations throughout the year on an as needed basis. The Orientation provides an overview of the United Church of Christ, its teachings, and the church’s history and organizational structure. We need our members in order to maintain the vitality of the church. Church School The Church School is connected to the Church. The School offers religious education for everyone in attendance; children, young adults, and adults. The Church School meets prior to the start of the regular worship service on Sundays. The Church School sponsors a variety of activities throughout the year for the children at the Church. Vacation Bible School (VBS) specializes in religious education focused on children. It is a week-long event during the summer (usually June). Each year the Vacation Bible School has a different theme. Children enjoy Bible stories, religious songs, arts and crafts, and skits. There is no cost for Vacation Bible School. Esther Harcum Summer of Christian Sharing Series The Church continues to educate the members in many unique and exciting ways. This series is a wonderful opportunity to share the many programs and services offered by the Church for the community we serve. The Women’s Guild All of the women of Heritage United Church of Christ serve on this Guild to bring an identity of oneness to God. 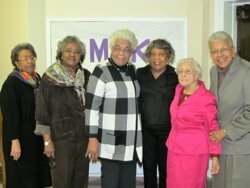 These women serve all of the Church’s Ministries with support and fellowship. Men’s Fellowship All of the men of the Church are the servants who support the Ministries of the Church, the community, and special interest groups. Library Archives Our history is the backbone of the Church. Our history tells where we have been, where we are, and where we are going in the teachings of our Lord and Savior. Ways and Means The Ways and Means Ministry is charged with raising funds to support the beautification of the interior of the church and the exterior of the church. The Ministry sponsors fundraising events at various times during the year. One of the major events is the Yard and Bake Sale in the fall. Culinary Services We must have our sustenance to feed our minds so that we may accept God’s word. The setting allows for the fellowship of the masses. Bless the hands that prepare the sustenance for the nourishment of our bodies. 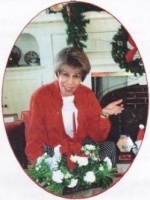 Eliza Lindsay was a faithful member of Heritage United Church of Christ in Baltimore City. 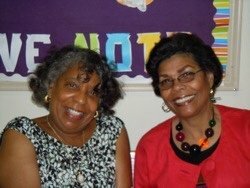 She expressed her love for her church by bequeathing the financial resources to support the creation of the Eliza Lindsay Adult Day Care Service. Her thoughtfulness and generosity will allow the Center to serve the maturing population in our immediate community and the community at large. Eliza Lindsay was born on February 15, 1922 in Norristown, Pennsylvania. Eliza was one of three children. She attended school in Norristown and graduated from Eisenhower High School. She married Leroy Lindsay and they were blessed with a son, Leroy Richard Lindsay. Eliza migrated to the East Coast where she worked at resorts in Cape May, New Jersey. Eventually she made her way to Baltimore, Maryland. She was employed by Western Electric Manufacturing Company for more than thirty years. Eliza Lindsay loved people and loved entertaining. She was a fun loving person with a distinctive wit. Eliza loved to laugh. Her hallmark for life was to live in happiness and enjoyment. She enjoyed traveling. 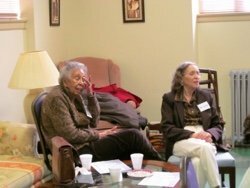 While in Baltimore, Eliza was active with the Win Ash Garden Club of Ashburton, Forest Park, and the Windsor Hills Community. Eliza loved gardening and the fruits of labor gave her contentment. Beautiful flowers made the world a happy place. Mrs. Eliza Lindsay is a role model. Her positive outlook on life served her well. She has left us with many lessons to live by. Thank you for your pearls of wisdom and for leading a Christian life. To make a donation, please click the link below. To learn more about giving at Heritage United Church of Christ, visit our Stewardship page. Heritage United Church of Christ is excited to offer its facilities to the community for rental. We have space for weddings, receptions, funerals, memorial services, repasts, and other events. If you are interested in renting any of our facilities, please contact the Tenia Robinson, Administrative Assistant to the pastor. 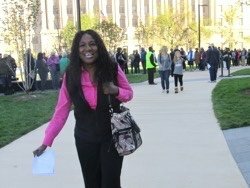 She can be reached at the Church Office which is located at 3110 Liberty Heights Avenue, Baltimore, Maryland 21215. The office telephone number is (410) 542-1204 and the fax number is (410) 542-1245.